We’ve often said that signing onto your VPN should be as natural and quick as locking the door on your way out of the house. For many SumRando users, this is exactly how our service is used — as a layer of security between their personal data and any prying eyes. And SumRando is great for that. Whether you want to watch Hulu videos in Sweden or check the BBC in Hong Kong, we’re there for you. For others, a VPN is more than just a security measure — it’s a portal to freedom. About two weeks ago, U.S. Ambassador to Libya Christopher Stevens and three others were murdered in an attack framed as a response to a YouTube video that mocked the prophet Muhammad. Now, evidence has emerged indicating a branch of Al Qaeda orchestrated the attack and used the erupting video protests as a veil to justify murder to an already agitated population. But this should come as no surprise. Groups like Al Qaeda seek to control the masses and, like so many others, are ready to use any excuse available to sell a denigration of freedom to their subjects. And now, in further responses to the controversial (and clearly hateful) video, other parties are looking to take advantage of an upset populace and tighten their grip. 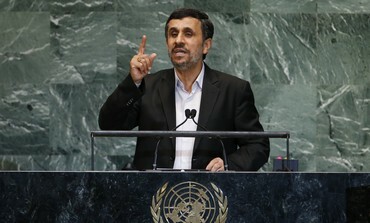 Yesterday, Iranian President Mahmoud Ahmadinejad spoke to the United Nations delegates in New York City offering a conciliatory tone and attempting to display a willingness to understand the perspectives of other regional governments. But while Ahmadinejad spoke softly, his regime tightened its grip at home, further implementing a plan to cut off the Iranian public from the World Wide Web and, subsequently, the kinds of ideas and concepts that run contrary to those of its government. “Due to the repeated demands of the people, Google and Gmail will be filtered nationwide. They will remain filtered until further notice,” read a government distributed message attributed to Abdul Samad Khoramabadi, an adviser to Iran’s public prosecutor’s office and the secretary of an official group tasked with detecting Internet content deemed illegal. Iranian officials claim that the continued choking of Internet access is aimed to create a safer online community for Iranians — keeping them safe from information leaks. But, obviously, we know better. For a detailed image of the situation, let’s look at the history. The Iranian government has long exercised a policy of media censorship — actively banning print and television content for some time. In response to the censors, dissident publications moved to digital outlets that, at the time, were free to broadcast on an uncensored net. This, unfortunately, would not last. In 2003 authorities published a list of 15,000 websites deemed immoral or in opposition to the ruling party and required Internet service providers to block access. At this point, only about 2 million Iranians had Internet access (contrast that with over 20 million today). By 2005, researchers discovered, by remotely accessing computers within Iran’s networks, 34% of URLs were blocked by the censors including 100% of pornographic websites, 15% of blogs, and 30% of news sites. 94% of sites offering advice or services to circumvent online censorship were also blocked. In the wake of the clearly rigged 2009 presidential elections the censors crossed yet another line, embarking on efforts to not only silence domestic online dissidents, but also those abroad in the Iranian diaspora. While the government was unable to detain anyone out of country, family members still residing in Iran were arrested and used to leverage silence among bloggers, writers and journalists around the world. In advance of the March 2012 parliamentary elections, connection speeds were seriously slowed and new rules were put in place to closely monitor online activity. In a police statement reported by Iranian news service Tabnak, authorities said, "Internet cafes are required to write down the forename, surname, name of the father, national identification number, postcode and telephone number of each customer." At the same time, tests began on the implementation of a national information network designed to replace the Internet and further sever ties with the rest of the world. Now, all government agencies are using the national information network and citizens are seeing more censorship than ever. As of March 2012, 27% of all websites were blocked in Iran. The censorship has become so blanketed, in fact, that the Ayatollah’s own Fatwa against anticensorship was censored because it contained the word “anticensorship”. While traditional Internet connections are severely limited. Many Iranians use VPN services to access the full, unabridged Internet. Better yet, VPNs allow users to surf anonymously so dissident posters can express anti-establishment views without fear of reprisal. Here at SumRando, we unequivocally believe the Internet should be an open platform, free from any kind of government censorship or limitation. 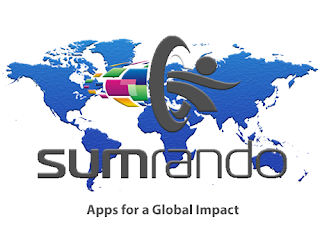 Furthermore, we would like to invite users in Iran and everywhere else to use SumRando’s services to access the unlimited potential of the world’s greatest communications platform for the free expression of ideas and content.